wording wording (required)Happy First Mother's DayHappy Mother's DayCongratulations! wording (required)Happy First Mother's DayHappy Mother's DayCongratulations! wording (required)Happy First Mother's DayHappy Mother's DayCongratulations! wording (required)Happy First Mother's DayHappy Mother's DayCongratulations! Great to congratulate new mums or for Mother's Day a 'Mumnesia' card highlighting in a humorous way the forgetfulness of mums! 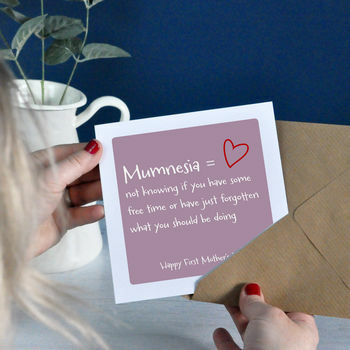 The card is lilac with a red heart illustrative detail. 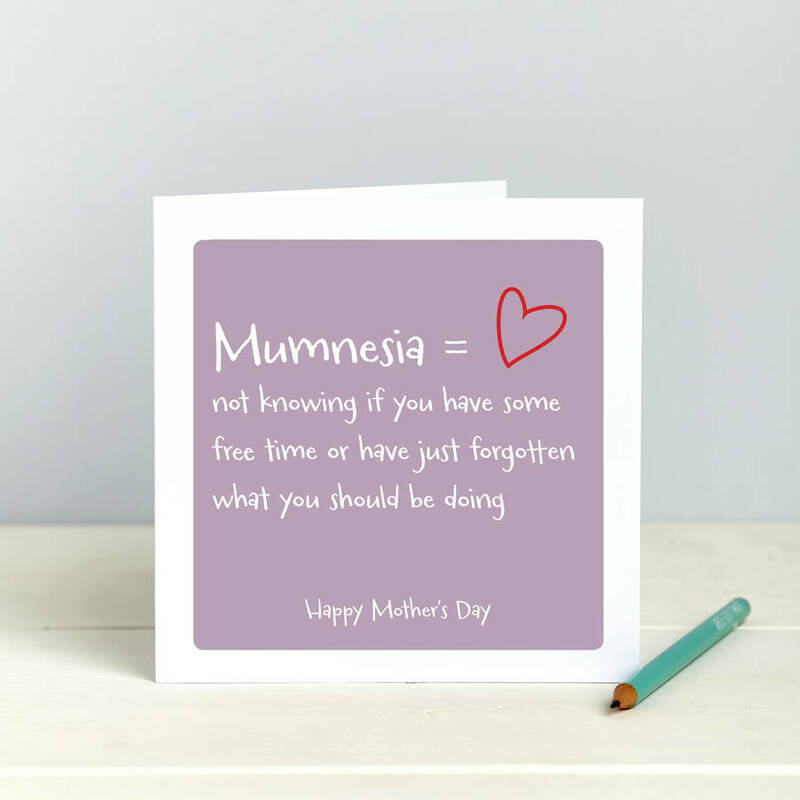 The text reads Mumnesia = not knowing if you have some free time or have just forgotten what you should be doing? 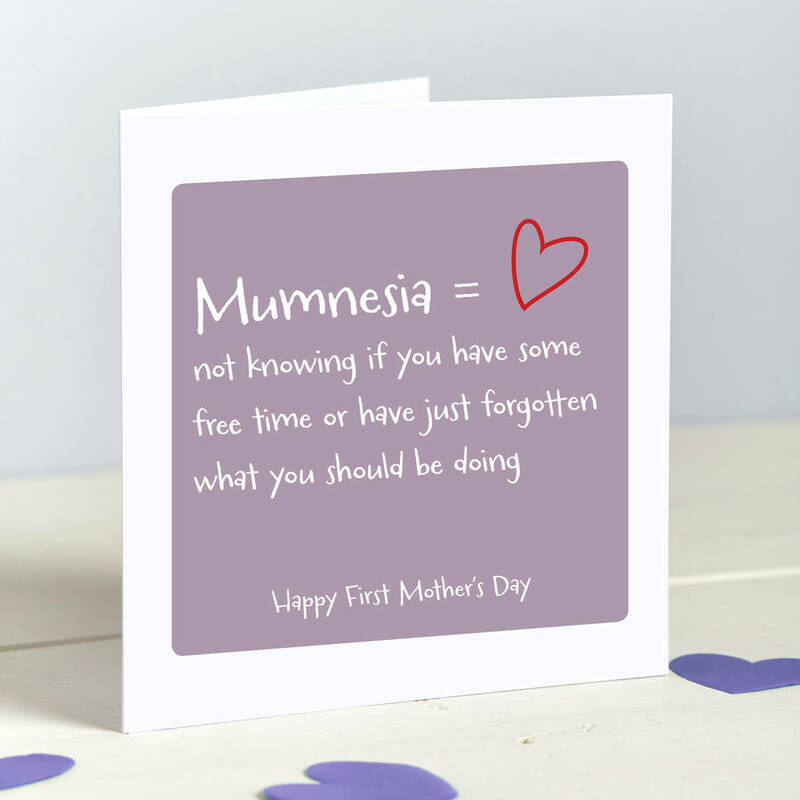 Available as a First Mother's Day card, a standard Mother's day card or with congratulations wording.